Business or company owners are always interested in protecting their assets. A non-compete agreement is one of many ways in which a business owner could protect his or her assets. Non-compete agreements are used to restrict and limit company associates, employees, and even clients from candidly competing against the respective business. In an effort to prevent an employee or business associate from utilizing or infringing on company-owned information, which could be used once they are no longer with the company. Individuals who have purchased a company from another party can use a non-compete agreement in an effort to prevent that selling party from starting the same competing business. In an effort to prevent company workers from getting hired at a competing company. When a business owner is attempting to protect his or her business’ proprietary information as well as restrict the possibility of direct competition, non-compete agreements can help. In order to embark in the most profound and insightful non-compete agreement, interested business owners should seek the advice and support of a qualified business law attorney. An attorney with the right experience can help any business owner draft a non-compete agreement that is right for the specific business. Before introducing the importance of the agreement’s design, it is important to note that not every state will support a non-compete agreement. Before researching the perfect design, interested company owners should check their local state’s rules and regulations on non-compete agreements. When a business owner has decided to use a non-compete agreement to safeguard his or her company, he or she will likely introduce the agreement to the applicable parties at the commencement of the partnership. For example, if a non-compete agreement is being introduced to an employee, the agreement will likely be introduced in the hiring process. A specific duration for the agreement. This specifies how long the contract will last. Most agreements will generally last between six months up to several years. It is important to abide by the rules and regulations each state has imposed. Some states will have predetermined time limitations. If the agreement lasts for an overextended period of time, these agreements will generally not stand in court. The location for the agreement. If the location of the business is local, business owners will generally want to restrict employees from starting a similar business within the region. Generally, non-compete agreements should avoid being too vague. A vague, ambiguous, or broad non-compete agreement will usually have no standing in court. Details to include in a non-compete agreement should include a report of what work is not permissible. Other details could include what a business owner considers to be direct competition. The main purpose of a non-compete agreement is to protect a company owner’s proprietary information; therefore, it is evident that the main advantage to having a non-compete agreement is to benefit the company and the company owner. Due to this, many states have begun to enforce strict limitations on non-compete agreements. Other states have completely banned non-compete agreements. The following lists will highlight some of the main advantages and disadvantages to having non-compete agreements for both employers as well as for employees. Advantages: restricts the distribution of proprietary information and to lessen the possibility of any direct competition in the local market. Disadvantages: a non-compete agreement can be difficult to enforce. It can also limit a company’s retention of qualified employees. Advantages: certain employees may have the impression that non-compete agreements will safeguard their place of work and ultimately their job. Disadvantages: a non-compete agreement can limit an employee’s career growth. Non-compete agreements can also avert former workers from obtaining a job locally, which in turn can affect the community’s employment rates, among other factors. Undoubtedly, non-compete agreements can be quite complex. Understanding what can be valid in a court of law can be difficult and without a sound agreement, a person’s business can remain susceptible to competition. Finally, another important element to consider is that not all states will hold non-compete agreements valid; therefore, it is important to draft an agreement that will be accepted in your jurisdiction. Acquiring the support of a business law attorney can help any business owner understand the legal benefits and implications of having a non-compete agreement. 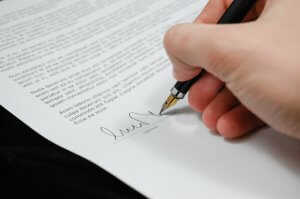 A business attorney can also help a business owner draft an agreement that is suitable for his or her company’s needs.